A group of seven Swedish amateur astronomers have achieved their goal of replicating the Voyager probe's iconic 1979 flyby of Saturn by using images taken with their own ground-based telescopes. 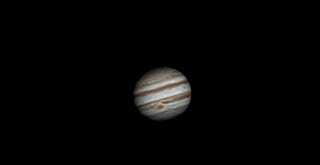 Back in the 1970′s when NASA launched the two Voyager spacecraft to Jupiter, Saturn, Uranus, and Neptune, I remember being mesmerized by a movie created from Voyager 1 images of the movement of the clouds in Jupiter's atmosphere. 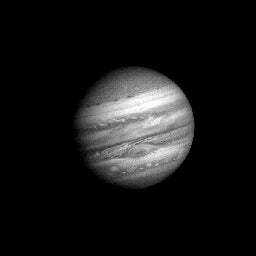 Voyager 1 began taking pictures of Jupiter as it approached the planet in January 1979 and completed its Jupiter encounter in early April. During that time it took almost 19,000 pictures and many other scientific measurements to create the short movie, which you can see below, showing the intricate movement of the bright band of clouds for the first time. Now, 35 years later a group of seven Swedish amateur astronomers achieved their goal of replicating the Voyager 1 footage, not with another flyby but with images taken with their own ground-based telescopes. "We started this joint project back in December of 2013 to redo the NASA Voyager 1 flyby of Jupiter," amatuer astronomer Göran Strand told Universe Today. "During 90 days we captured 560 still images of Jupiter and turned them into 90 complete maps that covered the whole of Jupiter's surface." Their newly released film, above details the work they did and the hurdles they overcame (including incredibly bad weather in Sweden this winter) to make their dream a reality. They called their project "Voyager 3." It is really an astonishing project and those of you who do image processing will appreciate the info in the video about the tools they used and how they did their processing to create this video. The seven Swedish astronomers who participated in the Voyager 3 project are (from left to right in the photo below) Daniel Sundström, Torbjörn Holmqvist, Peter Rosén (the project initiator), Göran Strand, Johan Warell and his daughter Noomi, Martin Högberg and Roger Utas. This article originally appeared at Universe Today and is republished here with permission.